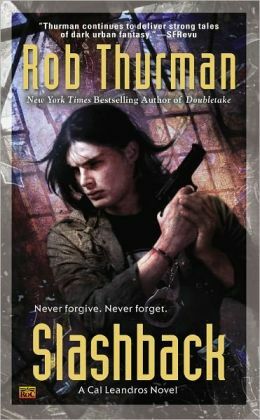 Rob Thurman’s incorrigible Leandros brothers are back in SLASHBACK, the lastest novel in her New York Times bestselling series! Taking on bloodthirsty supernatural monsters is how Caliban and Niko Leandros make a living. But years ago—before they became a force to be reckoned with—the brothers were almost victims of a very human serial killer. Unfortunately for them, that particular depraved killer was working as apprentice to a creature far more malevolent—the legendary Spring-heeled Jack. He’s just hit town. He hasn’t forgotten what the Leandros brothers did to his murderous protégé. He hasn’t forgotten what they owe him. The rich and powerful take what they want. We steal it back for you. Marney Brillinger is in trouble. 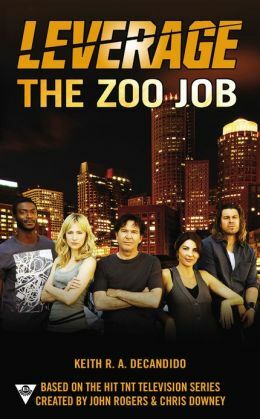 The zoo that has been in her family for generations is failing, and when she makes a deal with a Malanian priest to loan her two exotic black rhinos for a special exhibit, they never arrive. Now, she’s on the hook for hundreds of thousands of dollars to the priest, who was planning to use the money for sick children. Desperate, she turns to Nate Ford and his team for assistance. But finding two very large lost animals is no easy feat when the search involves duplicity—both international and closetohome—and the unwelcome arrival of Nate’s nemesis, Interpol agent James Sterling. With Sterling around, if the team isn’t careful, they just might end up in cages of their own . . .